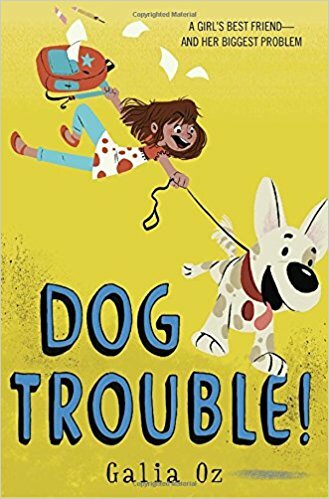 Readers who have graduated from Junie B. Jones and Ivy & Bean will fall head over heels for feisty Julie and her troublesome new dog. Julie has only had her dog for two weeks, but she is already causing all sorts of problems. For starters, she is missing! Julie suspects the school bully Danny must be behind it. But it will take some detective work, the help of Julie’s friends, and maybe even her munchkin twin brothers to bring her new pet home. 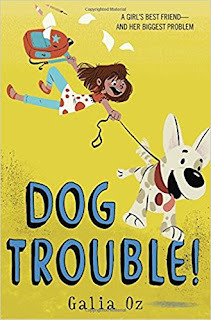 Wonderfully sassy and endlessly entertaining, the escapades of Julie and her dog are just beginning! Julie’s adventures have sold across the globe and been translated into five languages. Popular filmmaker and children’s author Galia Oz effortlessly captures the love of a girl and her dog. My puppy, Shakshuka, disappeared. It happened when my dad was away on a business trip and my mom was in one of her worst moods ever because Max and Monty had both just had their vaccinations and they both had reactions and they didn’t sleep all night. Max and Monty—­I called them the Munchkins for short—­ were babies and twins and also my brothers, and every­ one knew that if there were two babies in the house, no one was going to pay any attention to a dog, even if she was only a baby herself. a vacation and left him tied to a tree. And they said that the SPCA couldn’t take care of all the dogs that were abandoned by their families. And I thought about Shakshuka, who was gone and might be tied to a tree at that very minute, hungry and missing me. The next morning in class, Brody told me there was no way that Shakshuka had been stolen. “No way, ­Julie!” he said. “Why would anyone bother? You could get five dogs like her, with spots and stripes, for less than ten dollars.” Or maybe he said you could get ten dogs like her for less than five dollars. Brody said things like that sometimes, but most of the time he was okay. When Max and Monty were born, he said that was it, no one at home would ever pay attention to me again, and when I cut my hair short, he said it was ugly. I turned my back on Brody and pretended to listen to Adam. He sat at the desk next to mine and spent his whole life telling these crazy stories. wait until he got the word out. This time Brody tried to help him finish his sentence. Brody called Adam “Ad-­d-­d-­dam” because of his stutter, and because he liked to be annoying. But he was still my friend, and that was just how it was, and anyway, there were lots of kids worse than he was. I cried about Shakshuka during morning recess and Danny laughed at me because that was Danny, that was just the way he was, and Duke also laughed, obvi-ously, because Duke was Danny’s number two. But at the time I didn’t know that they had anything to do with Shakshuka’s disappearance and kept telling my-self that maybe they were just being mean, as usual. That Danny, everyone­ was afraid of him. And they’d have been nuts not to be. It was bad enough that he was the kind of kid who would smear your seat with glue and laugh at you when you sat down; that he and his friends would come up and offer you what looked like the tastiest muffin you’d ever seen, and when you opened your mouth to take a bite you discovered it was really a sponge. But none of that was important. The problem was, he remembered everything­ that anyone had ever done to him, and he made sure to get back at them. The day before Shakshuka disappeared, Mrs.
Brown asked us what a potter did, and Danny jumped up and said that a potter was a person who put plants in pots, but Mrs. Brown said that was not what a potter did. And then I raised my hand and said that a potter was a person who worked with clay and made pottery. Danny, who sat right behind me, leaned forward and smacked my head, and I said, “Ow.” It wasn’t too bad, but the teacher saw him and she wrote a note he had to take home to his parents. That shouldn’t have been so bad either, but later, when school got out, he grabbed me in the yard and kicked me in the leg. I went flying and crashed into the seesaw, where I banged my other leg as well. Our school had this system that every time a kid hit another kid, he got a note he had to take home to his parents, and if it happened three times his par-ents had to come to school and the kid got sent home. My mother said it was mainly a punishment for the parents, who had to miss a day of work and come to school. in the middle of a puddle, and Mom was really angry at me when I got home because we had to take out all the books and leave them out to dry and we had to wash the bag. I really could have told on him, but there wouldn’t have been any point. It would just have meant another note for him, another kick for me. In the evening, when the Munchkins went to sleep, Mom took one look at me and burst out laughing and said she wished that you could buy a doll that looked just like me, with scratches on her right knee, black dirt under her fingernails, and a mosquito bite on her cheek. “You look as if you were in a fight with a tiger.” That was so close to the truth that I blurted out the whole story about what happened with Danny. And I was really sorry I did that because that was the reason Shakshuka disappeared. Mom spoke to Mrs. Brown and she must have told her I was black-­and-­blue after Danny pushed me because the next day at school Mrs. Brown took me aside and told me that I had to let her know whenever something like that happened because otherwise Danny would just keep on hitting me, and other kids too, and we had to put a stop to it. Mrs. Brown meant well, but I knew that when it came to Danny, I was on my own. Later, at the end of the day, Danny caught me again, this time when I was right by the gate. Maybe someone saw me talking to the teacher and told him. Suddenly I was lying on the ground with my face in the dirt. I must have shouted because Danny told me to keep quiet. Then he said, “Tell me what you told Mrs. Brown!” “Let me get up!” I yelled. “Let me get up!” My neck was all twisted, but somehow I managed to turn to the side and I saw two first graders walking out of the building toward the gate. laughing, probably because of the dirt on my face, and I decided I’d had enough of this jerk. I saw red, no matter where I looked I saw red, and without think-ing about what grown-­ups always taught us—­that we shouldn’t hit back because whoever hit back would be punished just like the one who started it—­I threw a plant at him. At the entrance to our school there was this huge plant. The nature teacher once told us that it grew so big because it always got water from this pipe that dripped down into it, and also because it was in a pro-tected corner. It was a shame about the plant, it really was. And it didn’t even hit him. It crashed to the ground halfway between us. Then Mrs. Brown came. And without even thinking I told her that Danny knocked me down and then threw the plant at me. “But it didn’t hit me,” I said, and I looked Danny straight in the eye to see what he’d say. Danny said I was a liar, but Mrs. Brown took one look at my dirty clothes and she believed me. And be-cause of me he got into serious trouble. They didn’t only make his parents come to school and suspend him for a day—­after the incident with the plant they also told him he’d have to start seeing this really horrible counselor every Wednesday. The kids who knew him said his office stunk of cigarettes and he was a real bore. That was why Danny found a way to get back at me. He said, “Just you wait.” That was exactly what he said: “Just you wait.” And I did wait because I knew him. But Shakshuka didn’t wait and she couldn’t have known how to wait for what ended up happening to her. Galia Oz was born in Kibbutz Hulda, Israel, in 1964. She studied film and Television in Tel Aviv University 1984-87. Her award winning series of 5 books titled DOG TROUBLE was published in France, Spain and Brazil – and recently in the US by CROWN BOOKS Random House. The series is a steady seller in Israel for over 10 years (selling over 150,000 copies). Oz has directed several documentaries, all screened in international film festivals, and in Israeli leading television channels. Over the years, Galia Oz has been meeting thousands of readers in Israeli elementary schools, and taught creative writing and classic children's literature to kids in public libraries. Galia Oz is married and has two kids, a dog and a cat, and they all live in Ramat Hasharon, just outside Tel-Aviv. Visit her Facebook page at https://www.facebook.com/profile.php?id=100009378865434. "I wanted to mow down the politically correct" /Galia Oz, about DOG TROUBLE! I was born in a small communal village called a kibbutz, in Israel. The surroundings were beautiful, the air was clean, the doors were never locked and secrets were hard to keep. As a child, I never stopped reading. The real world had very clear boundaries - the fields surrounding the kibbutz were the physical boundary, and the fact that we were a small class of eight was the social boundary. But in my mind, I could be in Dicken’s foggy Victorian London, on the Mississippi with Huckleberry Fin, or in the Swedish countryside alongside Pippi Longstocking, my childhood hero, the strongest girl in the world. Although my own kids were raised in a far more conventional way, some of the free spirit of the kibbutz did trickle into the world of Dog Trouble! At the time of writing, I felt this need that I couldn’t quite put to words. It was only later that it became clear to me: I wanted to mow down the politically correct and the "moralizing" prerequisite of children's literature. I wasn’t willing to write too happy of an ending that ties up all the loose ends. A children's book is not a truck that needs to carry life lessons, and children are not pets that need to be trained. They deserve to read complex texts, which reflect a broken and imperfect reality. In other words: Literature. I wanted to write a story that would be sophisticated enough for my kids, one that reflects the real world, its inhabitants and their dilemmas. The first story almost wrote itself: Julie’s dog disappears and she goes looking for it. Her friends try to help her solve the mystery, but sometimes they get in her way. Once the first book was published, the characters already had lives of their own. If you were to wake one of them in the middle of the night, it was obvious how they’d react. Each one has a clear, distinctive personality. I was only there to get them out of bed. Julie is a little bit of everybody: sociable but not too sociable, family-oriented but knows when she needs a break, independent but knows when to rely on others, compassionate but not about to be taken for a ride. Anyone can identify with Julie - both boys and girls. 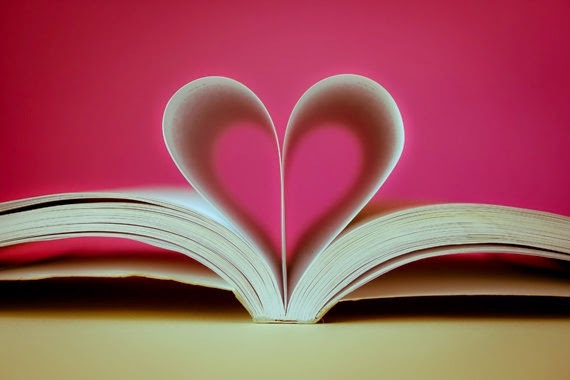 When I started writing, I was aware that girls read books about boys, but that boys don’t always read books about girls. Yet still, I gave a girl-protagonist the center stage. I turned her into a narrator, and I allowed her to be assertive. In retrospect, I think writing this character was the most political thing I have done. The secret behind Dog Trouble! I would like to think that what distinguishes the Dog Trouble! series is its “temperature.” Although the world can be tough, it is also full of love and warmth. Each of these children is surrounded by a band of friends, and although none of them is the paragon of perfection, they all show real solidarity toward one another. The dialogue between them, even when it contains conflict, remains inclusive and humorous. Moreover, there seems to be an unwritten code that dictates that protagonists in children's literature cannot be mean, petty, manipulative or violent. And if they are, they must be punished, or admit their guilt or at least show some remorse. But that’s not how the world works, and that is not the case in Dog Trouble! Sometimes it’s easy to look down on those who are weaker than you. The unpopular kids don't always stand up for themselves; sometimes they’re willing to take a few hits just to get in the good graces of the popular kids. Why should we be sanctimonious and pretend that there is always a way to repair such realities? I portray societal reality, for better or for worse. I don’t have to put a bandage on it. And, in my experience, children don't fall apart when they see their hardships reflected in the pages of a book. On the contrary, there is something reparative about hearing, or in this case reading, the truth. All five books in the Dog Trouble! series have become bestsellers and have remained among the most popular children's books in Israel over the past decade. The series won a literary prize and has been translated and published in France, Spain and Brazil.